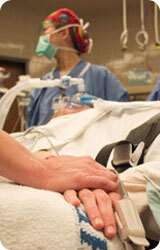 The Department of Anesthesiology & Pain Medicine has faculty positions for Academic Anesthesiologists. 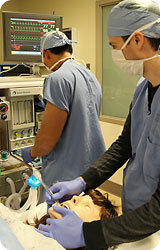 These anesthesiologists must be Board certified or eligible in anesthesiology and obtain state of Washington licensure. In particular, we are recruiting clinical faculty with research fellowship training. 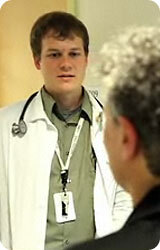 We also have a need for clinical faculty with fellowship training in pain medicine. Department of Anesthesiology at the VA Puget Sound Health Care System (VAPSHCS) and University of Washington Department of Anesthesiology & Pain Medicine in Seattle, WA are seeking a full-time anesthesiologist with subspecialty training in Critical Care Medicine to serve as the Co-Director of the Surgical Intensive Care Unit. This is an academic anesthesiologist position at the rank of Assistant Professor, Associate Professor, Professor, in either the regular or clinical track, depending on qualifications in the Department of Anesthesiology & Pain Medicine at the University of Washington. This position is without tenure. The successful applicant must be board certified in Anesthesiology and Critical Care Medicine by the American Board of Anesthesiology (or equivalent) and have a demonstrated record of success in ICU management and clinical education. Applicants will have clinical responsibility in both the operating room and ICU and must meet the qualifications for a faculty appointment at the University of Washington. In order to be eligible for University sponsorship for an H-1B visa, graduates of foreign (non-US) medical schools must show successful completion of all three steps of the US Medical Licensing Exam (USMLE), or equivalent as determined by the Secretary of Health and Human Services. Salary commensurate with qualifications and experience. University of Washington faculty engage in teaching, research and service. The UW is building a culturally diverse faculty and strongly encourages applications from female and minority candidates. The VA Puget Sound Health Care System and University of Washington are equal opportunity/affirmative action employers. Qualified applicants are requested to send a cover letter, updated CV, and names and addresses of three references to: Attn: Erik Slover, Human Resources Management Services (S-005A), 1660 South Columbian Way, Seattle, WA 98108. For additional information, please contact: Lisa Judge, M.D. at 206-764-4772 or lisa.judge@va.gov.